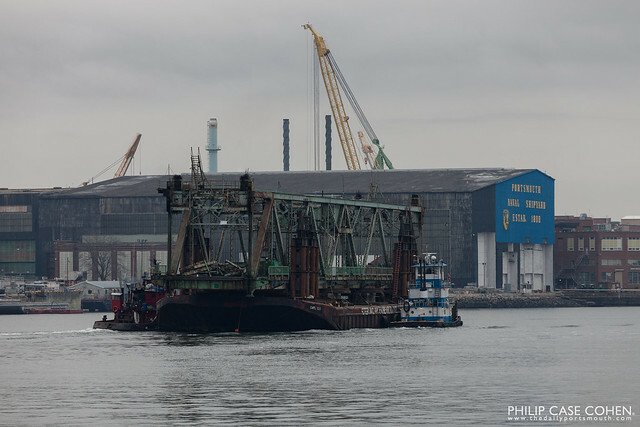 The Memorial Bridge Lift span has officially left the building (well, the seacoast…)! A stroke of pure timing had me heading down State Street in time to notice a helicopter overhead, and a crowd of people heading towards the waterfront. I decided to investigate – and was rewarded with the scene above. 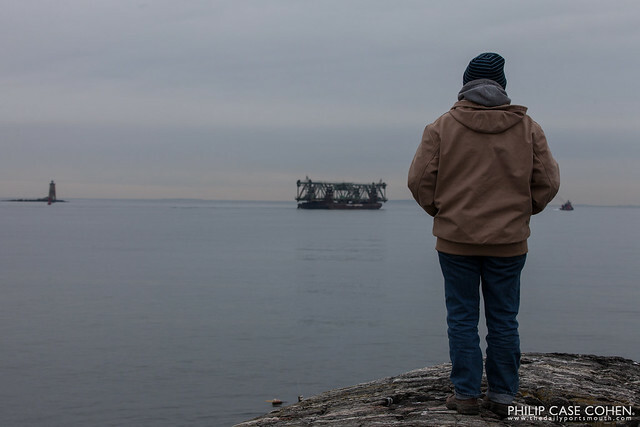 The lift span heading out towards Portsmouth Harbor. 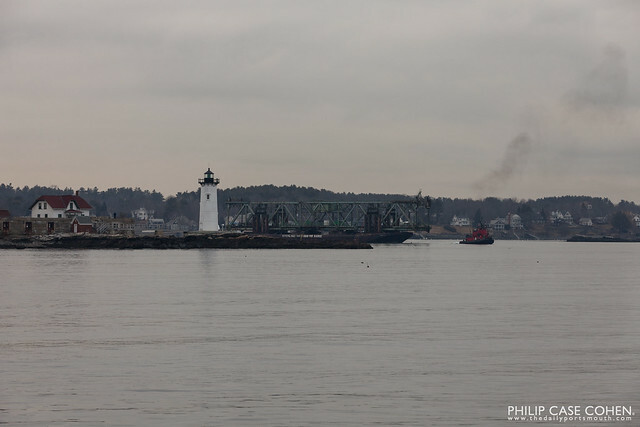 I also decided to head to New Castle so I could see the bridge float past the Portsmouth Harbor Lighthouse on the coast, and also past Whaleback out in the harbor. It’s nice to finally have closure on this portion of the project, and not worry about missing timeframes and capturing big moments. I’ve got a few more images featuring the Naval Prison and a better closeup of Whaleback – but until then, enjoy today’s images. Be sure to click them to see them large! We loved our time in Portsmouth and especially the Memorial Bridge and the drive along the coast. Where is the new bridge? How is that lovely drive affected?